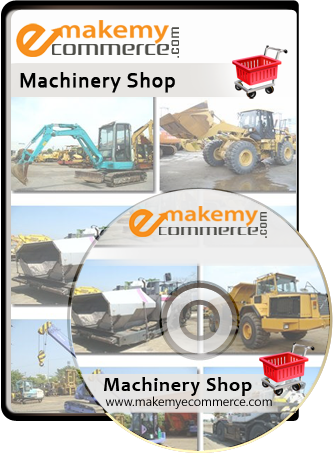 Machinery Shop is a turn-key readymade shopping cart solution for Machinery business. You simply install it and use the CMS Editor to easily change the colors to fit your brand. This responsive clean design assures your shop will look just as good on mobile devices as on desktops. You can add logo, category, products and other informative pages to your live eCommerce store and you are ready to start accepting orders with in 48 hrs. Submit your enquiry and we will send you Admin link soon.